Help us give comfort to our community. 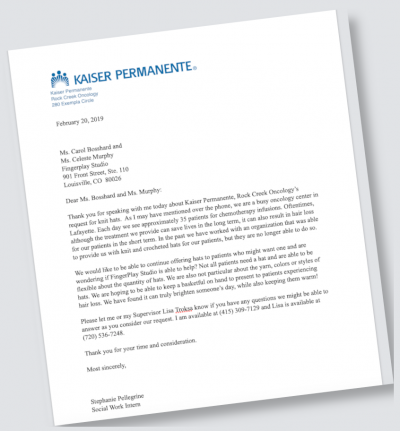 Kaiser Permanente needs hats for chemo patients. Although they do not have strict guidelines, we come up with a few to help you. We are collecting chemo caps throughout the month of April.